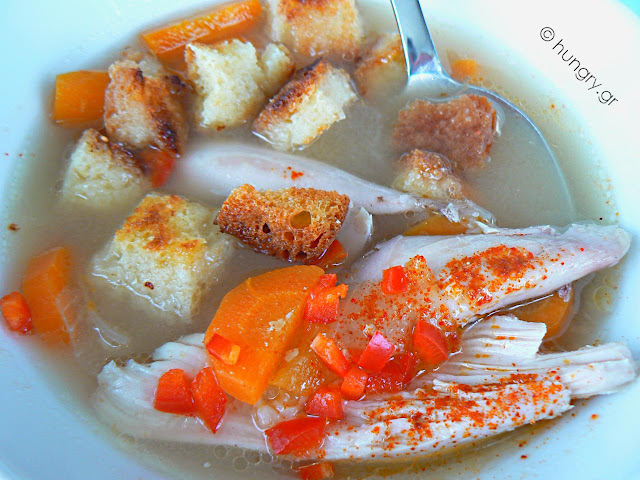 Tasty, simple soup with added trachana, sweet or sour, that enhancing the flavor and makes it very hearty, leaving a soothing effect on the stomach! 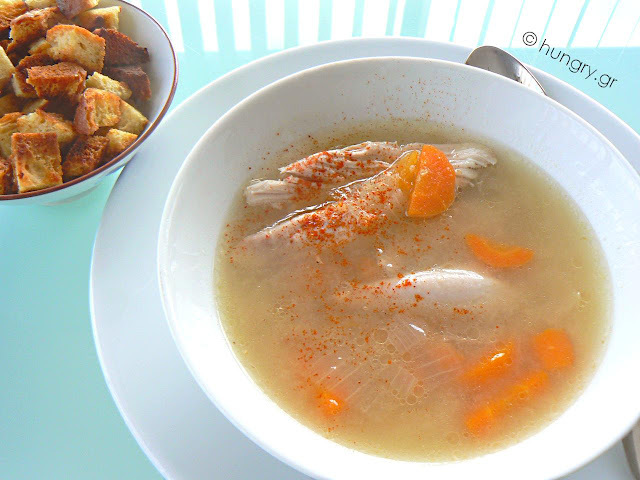 An easy and very economical dish, suitable for the winter's cold and rainy days. 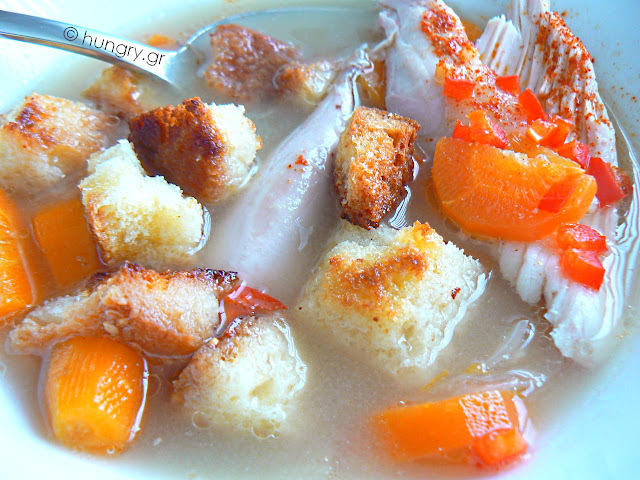 The warm, crispy bread into the soup tantalise the taste and give us enjoyment. 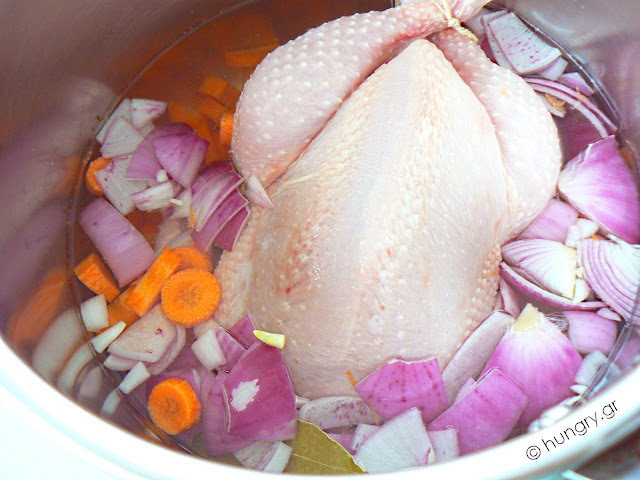 Wash the chicken, put in a deep saucepan with enough water to cover it. Cut the onion into chunks and the carrots into slices. Add the peppercorns, the salt and bay leaf. Cover the pot and allow the chicken to boil over medium heat, about 30'-45'. When it is cooked, remove from the pan, let it cool and remove the bones and skin. Keep only the lean meat. 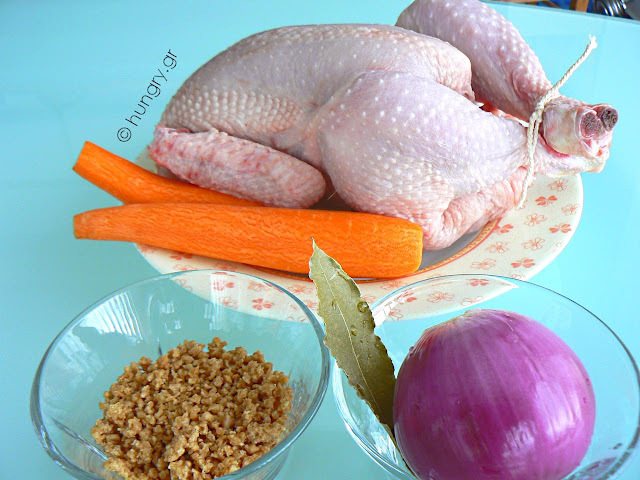 In the chicken broth add the trahana (frumenty) and cook it well (~15'). 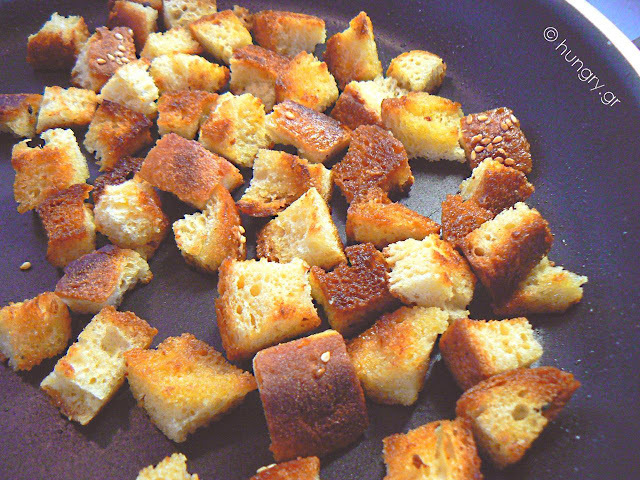 Meanwhile fry the bread until you get a nice golden color. 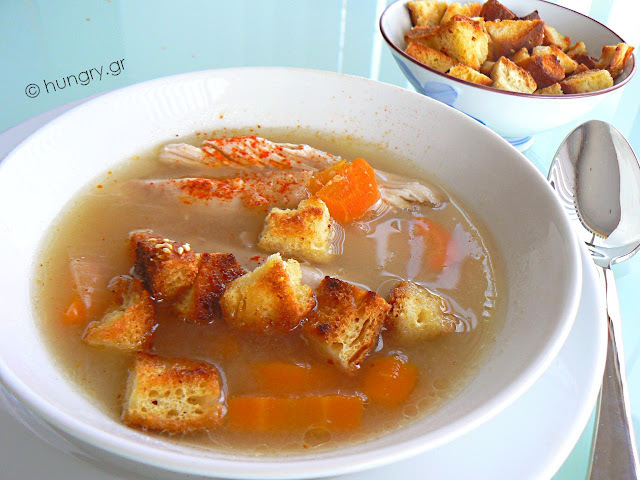 Serve the soup hot, in deep bowls or dishes, adding chicken pieces and toasted bread. Sprinkle with paprika or black pepper. You can find more soups in the recipes page.